At Tri County Agency, we believe the most significant measurement of a customer's satisfaction is when they recommend our services to a friend or business colleague. This is the ultimate testimony of a customer's confidence and trust in a company. To show our appreciation, we have established a program that will reward you for your confidence in us and your willingness to refer us to others. Thanks for using and recommending Tri County Agency! 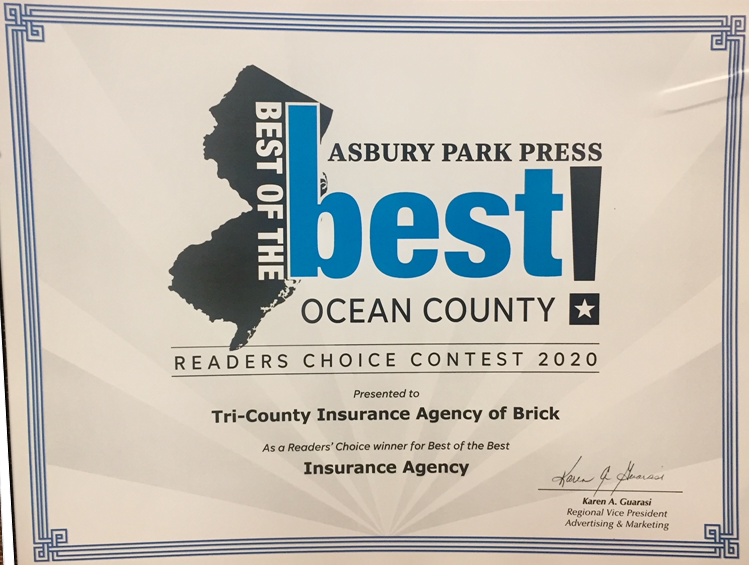 If you have any questions or would like to set up an appointment with a Tri-County insurance agent give us a call at 732-477-1010, email us at info@tri-countyinsurance.com, or contact us through our website by clicking here.